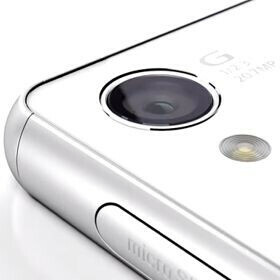 Could some of Sony's upcoming Xperia smartphones have cameras with optical image stabilization? Despite the fact that some smartphone vendors are using Sony-made camera sensors with optical image stabilization (Samsung, for example, has equipped the Galaxy S6 and S6 edge with Sony Exmor IMX240 sensors), Sony's own Xperias feature cameras that lack OIS. However, this might change in the near future. ON Semiconductor demoed a new low-cost optical image stabilization solution at MWC 2015, saying that this doesn't need "a microprocessor or expensive software," instead using an optical image stabilization driver. As you can see in the video embedded below, a ON Semiconductor official is mentioning that the company's OIS solution can be "very successful in phones that are not just inexpensive, but also very expensive, like the Sony Xperia for example, or some of the expensive phones coming from Korean makers in this day and age." While this is far from being a confirmation of any kind, at least it means that Sony could consider adding OIS to future Xperias at no significant extra costs. One of the upcoming Sony handsets that we hope to get a camera with OIS (be it from ON Semiconductor, or not) is the Xperia Z4, which should be released this summer. What do you think, should the Z4 feature an OIS camera, or is Sony's SteadyShot image stabilization solution enough? It's about time. I was disappointed that the Z3 didn't have it. If it did it would have performed a hell lot better than it does now. The whole focusing in general just isn't anywhere near consistent or close to other flagships. Other devices you can see it focus on the area you want, the lighting changes if it needs to, the object comes in more clearer. The M7, M8, G3, 1020, iPhone 6, and all other flagships do this with relative ease. Where the Z3 needs to be positioned at different angles to force it to get the shot wanted. a mere addition of OIS is not enough, it takes much more to achieve a great camera performance, yet the sony mobile division just assemble the parts together and call it the best camera phone in a waterproof smartphone, technically true, practically misleading. I'm a sony fan and am typing this on my z3tc, while the battery is commendable, the aspect they emphasize in promotion the most turns out to be the most disappointing. It would be great. I really havent been impressed with any of the hardware OIS cameras out there. I think Apples digital OIS takes the lead. SteadyShot digital stabilisation already keeps up with normal OIS and only Xperias maintaining digital stabilisation at UHD video resolution unlike other phones. Adding OIS would be awesome and would probably produce the most stable video! As long as they're at least taking the extra time to get their camera software right, that's good enough too. Correct, digital stabilization on a fixed wide lens is more or less as good as OIS, on a blind test you wouldn't be able to tell. The only problem is that the image becomes cropped and it's scaled down to 8mp, however the advantage is that you cut out corner distortion only use the center of the image which is the sharpest. I'd say right now the only thing that makes digital stabilization not so good on the Xperia is that you lose features like ISO control or being able to take full 20mp photos. Yes come with OIS and proper camera software optimizations and you will rock. Your Lollipop UI looks better than previous one. The question is: Will it support 120fps video recording? Sony needs to bring amazing products and cheap or they will go .. In my opinion, First they need to revamp their image processing algorithm. They can probably get some clue from their camera division. SA mode of Xperia is crap. But without knowing photography, use of manual mode also won't help. They need to address this first before they go for additional hardware enhancement like OIS. All I could hear is " extremely expensive and works like a charm" .For some reason best software based image stabilisation programs I've seen I never seen after they successfully been tested and showed off. Even beating Nokia's OIs and Iphones software back in 2012-13. Developers could have easily bought out by tech industry behemoths so they can take advantage of it by not providing this opportunity to OEm's for instance . if sony included a OIS in Z4 then everything will change.blowing note 4 to s6 out of the game..remember 20.7 is a monster. The Z3's camera is already one of the best when in Manual Mode. The only thing it actually lacks is OIS, although the software stabilization does a very good job.